Spurs final two games, at home to Newcastle tomorrow and Leicester on Sunday, are arguably as significant as any since Daniel Levy became chairman. Two wins and a top four place is guaranteed. Anything less and it’s Thursday nights on the BT channel that nobody subscribes to, but the ramifications could reverberate long into the future. Playing in the Champions League is enticing, exciting and a source of pride. It’s not the Holy Grail, as many would have us believe. I’m an old-fashioned soul. I think we should push for third, because third is better than fourth. Finishing second is good, because we’re better than all but one of the other teams, and because it’s better than third. I want Spurs to be contenders, not also-rans. No trophies for finishing third or fourth but there will be lots of money. In the past, the sense is that Levy does not budget for CL qualification and presumably he took this approach into negotiations with the banks offering the loans that pay for the stadium. I suspect the banks looked harder at season ticket sales than the league table, and those have gone very well despite the insufferable price rises. So the club finances won’t fall apart if we fail to qualify – Levy would not let his vision hang by a thread as flimsy as a place or two in the table. However, although with Levy there’s no apparent causal link between CL qualification and the transfer and salary budget, the CL money gives him more room for manoeuvre in a summer where Spurs must invest heavily in the squad in order to stand still, let alone make progress. As I said last time, Pochettino faces a new challenge – having built a side, he now has to rebuild one. Rose and Alderweireld seem certain to go. Dembele too – he will never be the same force again – Wanyama possibly. The squad needs to build muscle. Kane has no reliable cover, four years of this now. Sissoko and Lamela are given responsibilities by their manager who seems to see things in their overall play that have escaped many of us, including dependability and creativity, not to mention goals. And so many goals have escaped Sissoko this season. Money will come from sales but we still have to buy. A perfectly reasonable scenario is that we have to replace four high quality players in the summer. That’s digging deep into the team’s flesh. And deepen the squad on top of that. And can we wait for players to mature to fill the boots of the class players that went before them- we need to pay extra for experience. These feel like big changes, on a scale greater than Pochettino has had to face before. In a cut-throat market where everyone is climbing over themselves to buy success, Spurs choose to operate at a disadvantage. As a counter-balance, we have Pochettino and his reputation for playing the young men and making them better players. We also have the CL. Poch plus playing regularly plus the CL equals, what, 20k less a week on the salary? 30k? Some won’t even think about it, others will listen. Levy relies on this and the patience of his manager, in order to keep down the budget, but for how much longer? Walker, Toby and Rose grew tired of the disparity. For now, Spurs are less of a draw if we’re out of the CL, and perhaps the ties to their manager, genuine though they clearly are, might begin to loosen if the big offers come in this summer for Eriksen, Dele and – I dare not speak his name out loud. Next season, with the league the way it is, with other sides in what is effectively a top six getting their act together, competition will be intense. CL qualification means more than I can ever remember. It feels like a watershed. On one side, continued improvement, Levy willing (big if). On the other, half a squad leave, are not replaced adequately, we fall backwards, even slightly, and players and fans alike become unsettled. And manager? Enough of the balance sheet. We need to finish in the top four for the fans’ sake. We want this. Not a trophy, but it means something. Means we finish above London rivals. Means we’re not bottlers. Means we have achieved something without playing any home matches. Means the pride we have expressed in our team is justified. To me, fans have shown faith in the team. Spurs are good and we want to be able to tell people that. No league or cups but look where we finished. Above you. May not be much but that’s what we’ve got. We can tell people this is what good football gets you. That feeling is always around but again it feels more important that ever before. We’ve endured Wembley, no trophies, considerable expense – two wins mean something. This matters. Wish we had something more tangible to cheer, but right now, this matters. Like a blunt knife, just ain’t cutting. Spurs are off the boil. Simmering or has the gas been turned off completely? Son has gone back to kicking the ball straight at defenders. Kane’s back on his heels. Dele drifting. Marking at corners helps too. And not giving stupid fouls away. I was going to identify Eric Dier as the key man, the Dier who cleans up the midfield, not the Dier who loses concentration and gives the ball away. Like the others, he looks weary. But he’s sick, so Wanyama has to step up. Take charge, take our chances, take the top four. Pochettino seems worried that he’s not getting through. He relies on players taking responsibility for their performances, as opposed to a ranting captain or manager berating them into action. Too late to change that – they must find motivation within. And maybe, ultimately, they need to prove to themselves that they have what it takes to win under pressure. Whatever they say to the media, the niggles must be there. Glory, stagger over the line, I don’t mind which. Two games, two wins. A win and a draw would do it All, but winning both and finishing above the much fawned over Liverpool would go someway in making up for the bitter disappointments in the cups. Perfect analysis Allan. I’d take 4th now, in fact I’d take a point against Newcastle. That’s the banana skin for us, I think Chelsea will take 6 points. We took the 6, mate and Toon tried but not good enough. As for Cheatski…win FAC and miss out on CL, good job! Seems to be since the victory at Chelsea, the wheels have come off, for whatever reason. It’ll be devastating if we fail to qualify after being in such a commanding position. Spurs never do anything easy! Agony or Ecstasy? 2012 capitulation again? ..or something to hopefully resemble that great performance against City which gave us, back in 2010, our first CL place since 1962? Top Four? If we’d been asked early September to take 4th, while struggling to bed down at Wembley, it would have been grabbed by very grateful hands. But since the Chelsea result, we’ve resembled a mediocre mid-table side (in terms of cutting edge, application and imagination). So many key players suddenly ‘off form’. A manager who has suddenly struggled with tactics. A squad that now looks weak. But this is where we’re at. Two results needed against teams (mid-table but currently similar to us in the form table) who won’t have the pressure or nerves that we’ll have. In fact, these two games are their ‘clone’ FA Cup Finals ..a ‘let’s give our club and fans a good send-off this season at the home of football’ type mentality. Only spurs could concoct this all-or-nothing ending, Alan, having shown real moments of ‘greatness’ in a season where ALL our matches have been away from ‘home’. Four points = 4th spot. That would do it, and then bring on the World Cup! Otherwise I don’t want to see another football until mid August. Don’t get mad…. Get even!! And surprise, surprise, one game, we win, Cheatski draw and we’re in…easy, peasy! Top London team, third straight year in CL, after playing 38G away, what’s not to like! Oh ye of little faith! If it’s a watershed then I for one will be happy to see those that spend every moment they can get away with it moan and write their agenda based on nothing but what they believe is how the club operates, get washed away down the road. 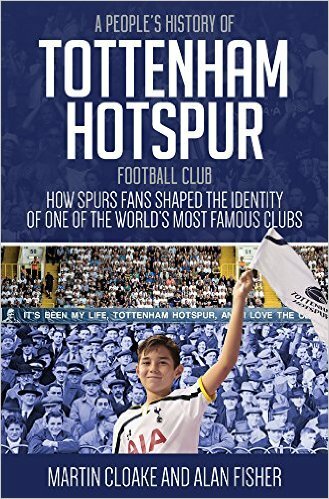 Including “Hairy” Hotspur and his clickbait non-support of Spurs! Silenced now, eh?! They’re still my team, come whatever does ……… COYS!! I want 6 points at the finish and hope the squad steps up. Gut check as we say. 3rd place ahead of both Liverpool & Chelsea please!! COYS!!! This is a great read. 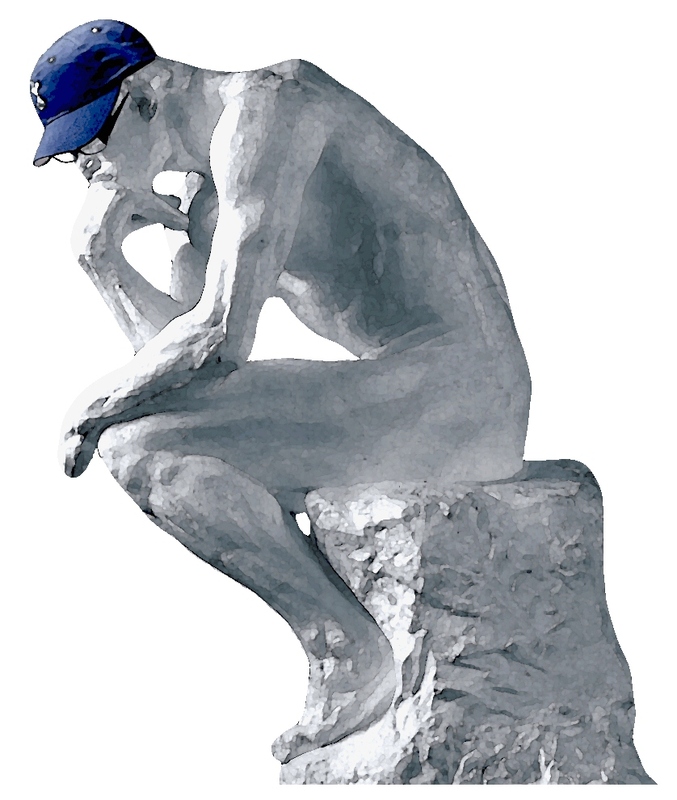 Thinking back to those last two games I was thinking the same exact thing. That win against Leicester was huge. What do you think about Dembele right now and his links with Inter? I see you talk about the Dier who cleans up in front of that back line but do you think a big replacement comes in if Dembele leaves? Love your blog. Looking forward to more posts this coming season!